The relationship between China and Myanmar (formerly known as Burma) has traditionally been quite close. The two countries share a long border and trade extensively with one another. In 2011, Myanmar began a series of democratic reforms. Zeyar Lynn will discuss the evolving relationship between Myanmar and China since these reforms began. 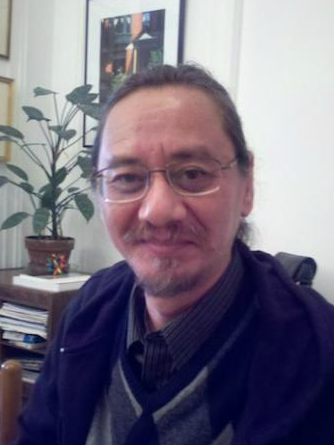 Zeyar Lynn is a poet, writer, and translator widely regarded as the most influential living poet in Myanmar. He is the author of seven poetry collections, including Distinguishing Features (2006), Real/Life: Prose Poems (2009) and Kilimanjaro (2010). He has translated John Ashbery, Charles Bernstein, Donald Justice, Sylvia Plath, Wisława Szymborska and Tomas Tranströmer, as well as many Chinese, Japanese, Australian, East European and Russian poets. Since 2005 he has organized and hosted the annual UNESCO World Poetry Day event in Yangon. He is also one of the editors of the quarterly Poetry World. He teaches English at a specialized language school. Zeyar is visiting Iowa City under the aegis of the International Writing Program. He is one of about thirty IWP residents visiting Iowa this year.